The Chandana Ramesh Shopping Mall is a complete one stop shopping destination.Chandana Ramesh Shopping Mall is a popular hang out spot for the locals. T.K Street has a special crowd collections daily because of the well known for the theatres, restaurants, schools, and textile shop. 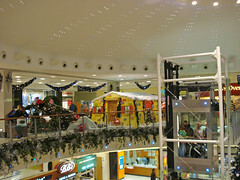 The TMC Shopping Mall is a complete one stop shopping destination. TMC Shopping Mall is a popular hang out spot for the locals. Kalanikethan has been serving its consumers with tradition, values and trust. I t has a full colection of wide and outstanding range.